Tough Feast bank from the Danish House Doctor. The Feast corner module sofa is upholstered in a beautiful sand color. The sofa has a length of 85cm, width of 85cm and a height of 80cm. Seat height is 48cm. How do you combine this bank? Tough Feast bank from the Danish House Doctor. 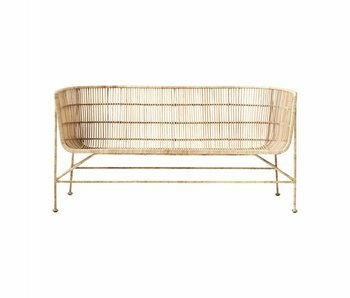 The Feast 2-seater sofa is upholstered in a beautiful sand color. The sofa has a length of 120cm, width of 60cm and a height of 80cm. Seat height is 48cm. How do you combine this bank? Tough Feast bank from the Danish House Doctor. 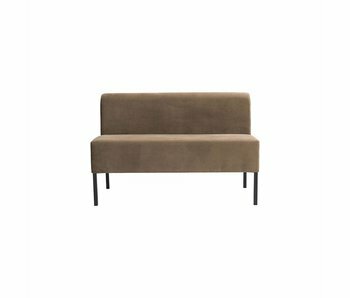 The Feast 1-seat sofa is upholstered in a beautiful sand color. The sofa has a length of 60cm, width of 60cm and a height of 80cm. Seat height is 48cm. How do you combine this bank? Tough Casa 10 bank from the Danish House Doctor. 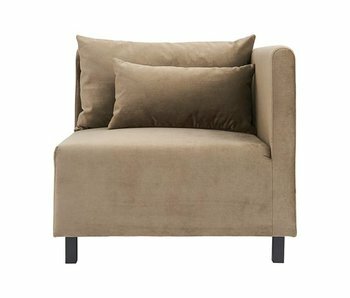 The Casa 10 module is upholstered in velvet beige and comes with 2 pillows. The House Doctor Casa 10 series consists of several modules that can be linked. Tough Casa 10 bank from the Danish House Doctor. 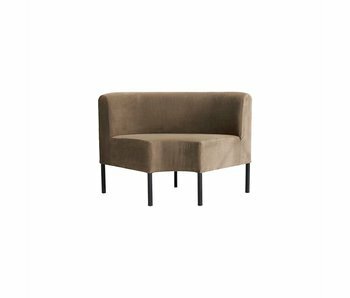 The Casa 10 corner module is upholstered in velvet beige and comes with 2 cushions. The House Doctor Casa 10 series consists of several modules that can be linked. Tough Casa 10 bank from the Danish House Doctor. 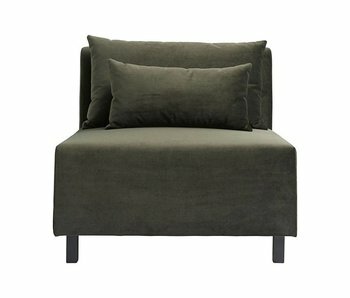 The Casa 10 module is upholstered in velvet green and comes with 2 cushions. The House Doctor Casa 10 series consists of several modules that can be linked. Tough Casa 10 bank from the Danish House Doctor. 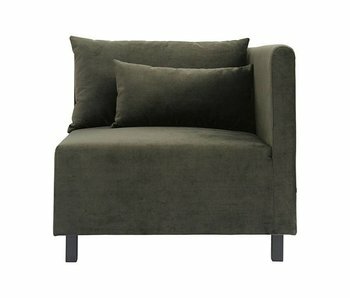 The Casa 10 corner module is upholstered in velvet green and comes with 2 pillows. The House Doctor Casa 10 series consists of several modules that can be linked. Tough Casa 10 bank from the Danish House Doctor. 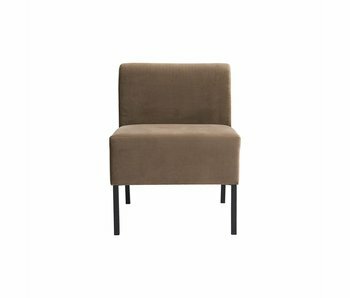 The Casa 10 corner module is upholstered in light gray and comes with 2 cushions. The House Doctor Casa 10 series consists of several modules that can be linked. Beautiful gray House Doctor Grow bank. This gray Grow bank is made of fiberclay and has a length of 130cm and a width of 40cm. The height of the bench is 38cm. Can also be used outdoors. Beautiful gray House Doctor Gallery bank. This gray Gallery bank is made of fiberclay and has a length of 130cm and a width of 40cm. The height of the bench is 38cm. Can also be used outdoors. Beautiful House Doctor Party bench. 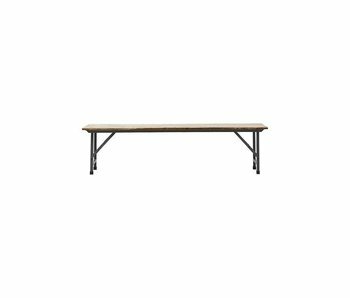 This Party bench is made of brown wood and metal with a length of no less than 160cm and height of 45cm, The width of the sofa is 36cm and is ideal to use with the House Doctor Party table. Beautiful House Doctor Party bench. 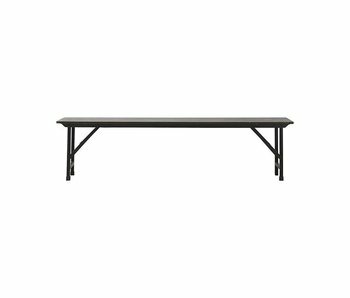 This Party bench is made of black wood and metal with a length of no less than 160cm and height of 45cm, The width of the sofa is 36cm and is ideal to use with the House Doctor Party table. Beautiful House Doctor Train outside bench. 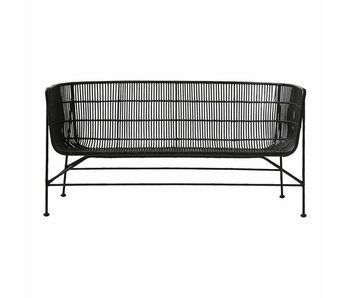 The Train sofa is made of acacia wood and black iron. Combine the sofa with a cushion from the new House Doctor collection for even more comfort. A real eyecatcher in your interior? Search no further! The House Doctor coat rack lookds great because of its beautiful looks. Easy to use due to the hooks and fold-out hanging area. Made of steel. 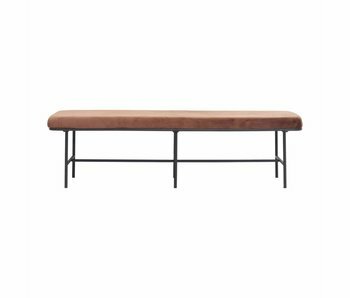 The House Doctor Comma bench has a strong black metal frame with playful shapes and a rust brown fabric seat with foam for a soft seat! Nice to combine with the House Doctor Comma chairs at the dining room table. 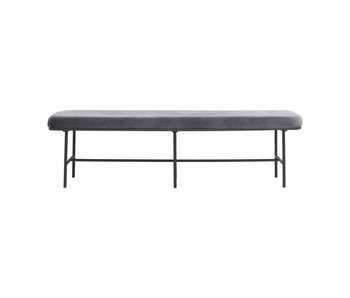 The House Doctor Comma bench has a strong black metal frame with playful shapes and a grey fabric seat with foam for a soft seat! Nice to combine with the House Doctor Comma chairs at the dining room table. 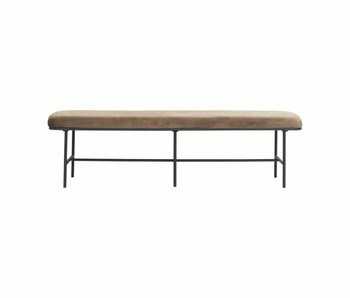 The House Doctor Comma bench has a strong black metal frame with playful shapes and a mustard color fabric seat with foam for a soft seat! Nice to combine with the House Doctor Comma chairs at the dining room table.